Okay okay so I know we're nearly half the way through May, but I still wanted to share my favourite products from April with you. I missed March favourites partly because of my laptop disaster, and also because the products I was using hadn't really changed since February. But, now that spring is finally here I've completely changed up lots of my products, some through want and some due to need because of the effects the changing weather has on my skin. I love pretty spring makeup and can't resist purchasing new things at this time of year. 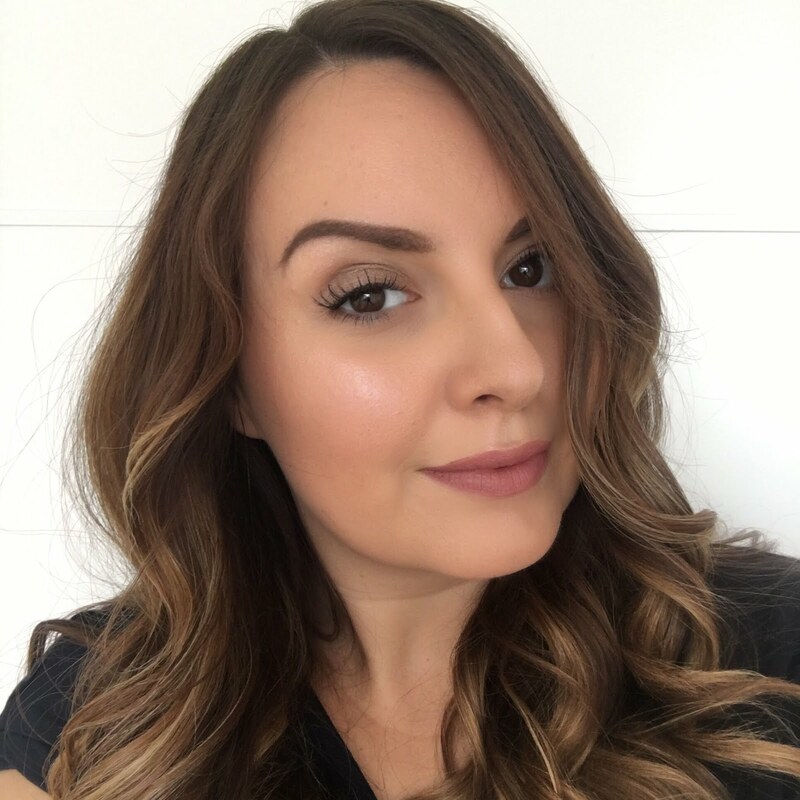 I instantly fell in love with the world famous neutrals palettes from Benefit - I bought two of the three that came out earlier in the year, but this one's my favourite - glamorous nudes. I must swatch this again soon (yep, lost all the original photos) and do a full review. This goes so well with the sweetheart blush from Too Faced - I really fell for the packing with this beauty but it's a gorgeous blush too, so I'm really pleased I bought it and I've worn it loads. In the back here you can also see I've been making a huge dent in my hello flawless powder - I reviewed that here and I'm still loving Benefit's fake up concealer which you can read about here. I've tried a few new shampoos this month but my best new discovery is the full detox shampoo from Ojon. I made a bit of a mistake when I bought this as I thought it was a shampoo for every day, but it's actually one you should only use every few weeks or once a week at the most. My hair feels cleaner than I can explain when I use this shampoo. It's a lot like Bumble and Bumble's Sunday shampoo. Also on the subject of hair I finally got around to buying one of the Elnett heat protection sprays after one of my friends recommended them to me. I bought the one for straight hair and it's really good for giving a smooth finish when blow drying without adding any greasiness or heaviness. I've had to change up my moisturiser because the warmer weather has left my face a shiny mess most days. The *Good Things miracle mattifier has been doing a great job - I still get shiny, but this makes a good difference to how shiny - it smells really nice too and is a good base for makeup. I now need to find a new eye primer as my shadow has been creasing like crazy on my oily lids - I always used to use Urban Decay's primer potion but it's stopped working for me - sad face. And lastly here you can see my new favourite perfume of the moment - Marc Jacobs Daisy eau so fresh sunshine - don't even get me started on how gorgeous the bottle is. The fragrance is lovely too - a lighter more summery version of the original daisy, which I also really like. My spring lips have been a mixture of pinks, peaches and corals. Left to right these are YSL rouge volupte in 8 - kissable rose, MAC haute altitude, MAC cut a caper and Revlon lip butter in creamsicle. After I went along to the Bioderma launch as well as getting to try out their world famous micellar waters, I was also given a tube of the *Sébium pore refiner which I've been really impressed with. It does exactly what it says on the tube - it instantly makes my enlarged pores look smaller and much less noticeable. I didn't expect it to be half as good as it is and now it's part of my daily routine. Lastly an old favourite in a new shade. Esteé Lauder double wear is my holy grail foundation but I've always had a bit of trouble getting the exact shade right. Even when I was properly matched at a counter I found the shade a bit dark so I've had another go myself and am now wearing Fresco, although I sometimes mix it with what's left of my darker colour to get a really perfect match. Nothing else I've tried compares to double wear for my oily combination skin - it's an all time favourite. Are any of these products your favourites too? I love the packaging of the Too Faced blush, I am a sucker for pretty packaging!! i have the elnett heat defence and i love it! and i have the marc daisy sunshine. wow, smells gorgeous! I don´t like the Benefit flawless powder, I used to use it daily but I hate it´s fragrance. I need to try out that eye shadow palette! I can't wait to try fake up. Need to finish current condealers first!